Open Tuesday to Sunday, 10am to 4pm. Closed Mondays. Visitors can stroll through the gardens in less than an hour but many stay longer to linger on the meandering shingle paths, to watch dragonflies flit on the pond, or sit on a secluded bench. 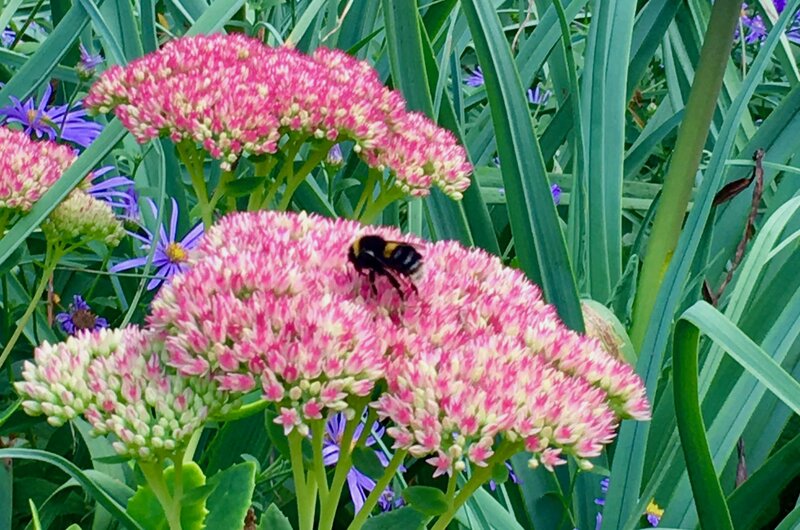 The 4-acre garden has year-round interest, structure, and colour so can be visited several times a year, each visit differing with the change of seasons. 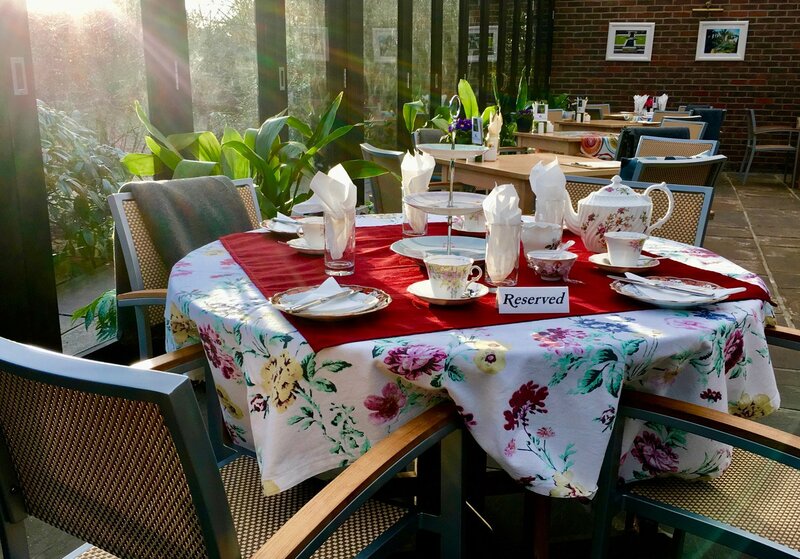 Enjoy a meal or cuppa at the Denmans Tea Rooms and browse in the stylish gift shop or for unusual plants in the plant centre. Picnicking is not permitted. Click here for directions on Google maps. Scroll down for additional information. 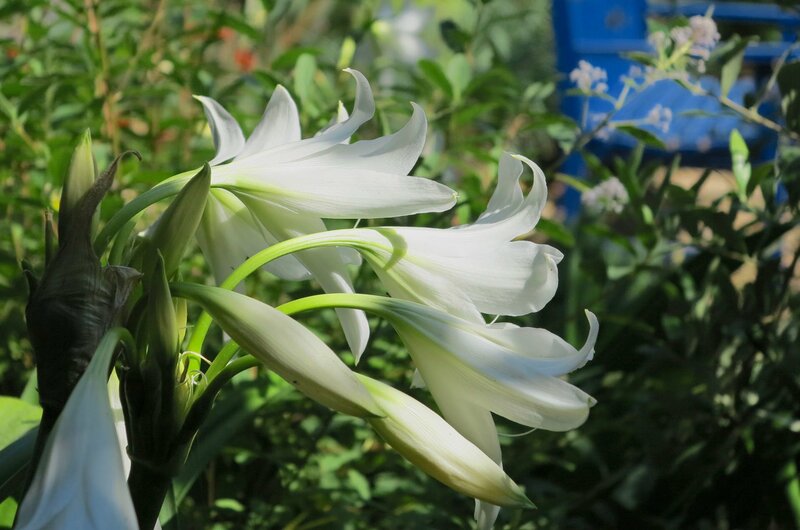 Tours of the garden are available by prior booking. Please contact us for our current offerings at office@denmans.org or ring +44 1243 278950. The Tea Rooms serve a variety of hold and hot meals in addition to homemade cakes and biscuits. Groups are very welcome and are encouraged to book in advance. In cold weather seating is indoors and in warm weather people can enjoy sitting outside on the shingle terrace. Last orders for main meals is 3pm. Teas, coffees, and baked goods are served until 3:30pm. A meeting room is available for private events. 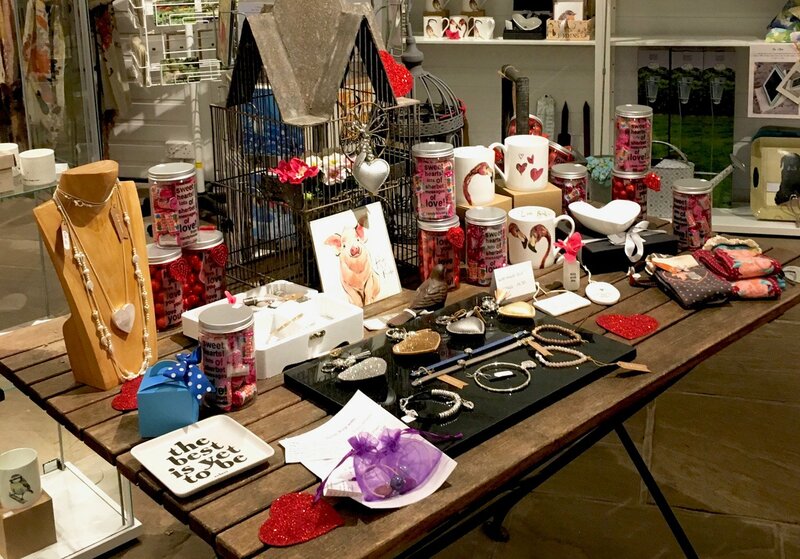 The Denmans Gift shop offers a variety of items stocked to delight or customers. In addition to scarves, hats, and beautiful jewelry, the shop has a broad variety of cards. Bird feeders, beautiful vases and pots, garden gadgets, and locally made products are also available. We are always adding new items. 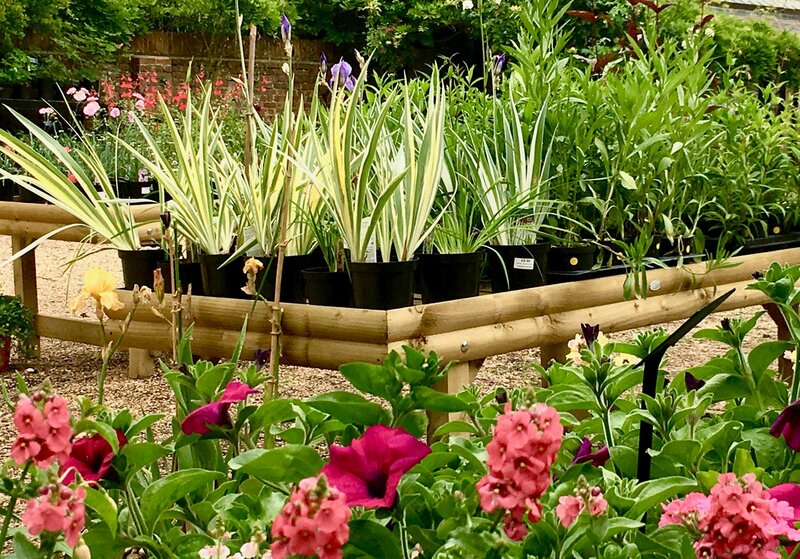 In the tradition of Joyce Robinson and John Brookes MBE, the Denmans plant centre offers plants that are suitable for the climate and soil in West Sussex and regions with similar growing conditions. Many of the plants are propagated on site in the newly renovated greenhouse, and we are there to help you make choices that are right for you. 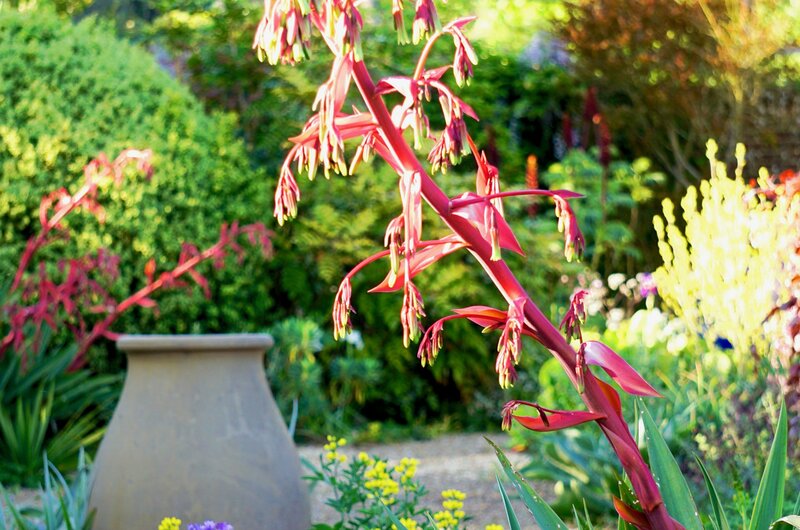 Denmans Garden, Tea Room, and garden shop are open from 10am – 4pm, Tuesday to Sunday. Parking is free. Admission to the garden is £5 per adult, £4 per Senior, and £3 per child. There is no admission charge for the Tea Rooms, gift shop, or plant centre. Children must be supervised and with their parents or guardians at all times. Although many of the garden’s walks are shingle, most of them are wheelchair accessible and the Tea Rooms are entirely wheelchair accessible. Free entry for the essential carers or companions of visitors with disabilities. Leashed dogs, cyclists and walkers are all welcome. Coaches and group bookings available. The meeting room is available by prior booking. 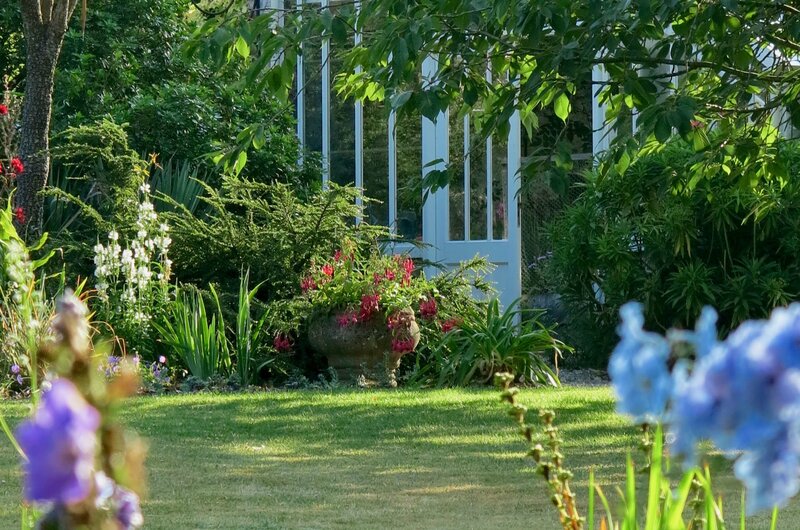 Denmans Garden is situated off the A27, westbound, half a mile west of Fontwell roundabout between Chichester (6 miles) and Arundel (5 miles), and adjacent to Fontwell Racecourse. From London, take the A3 to Guildford and Godalming, take the A283 exit from the A3, then follow the A283 and then A285 down to the A27, turn left on the A27, then follow Arundel Rd/A27 to Denmans Lane. Take the small driveway Denmans shares with Global Technologies Racing (GTR) and follow all the way down the end to where it terminates in the Denmans Garden car park. From London, take a train from Victoria station to Barnham. Barnham Station Taxis are normally available at the station or can be pre-booked (www.barnhamstationtaxis.co.uk/contact). Denmans Garden is about 10 minutes away.